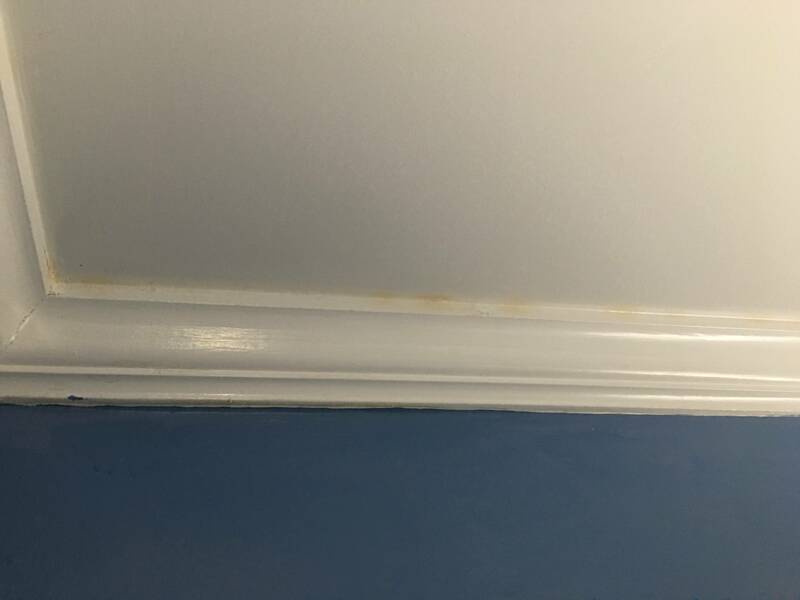 I live in an older home (built in 1929) in NJ and one of bedrooms has yellowing showing around all the crown molding. The room is below the attic and the attic is insulated above the ceiling. I don’t think it is a water leakage issue. I don’t notice this issue in the other two bedrooms which also have crown molding. What causes this yellowing? How to I get rid of it and prevent it from coming back? Most likely, if you are certain it is NOT from moisture it can be the simple fact that it is some inexpensive painters caulk that was never painted. In a commercial settings ie. eateries, we use clear silicone. You could simply try painting it. Not the answer you're looking for? Browse other questions tagged ceiling trim bedroom stain or ask your own question. 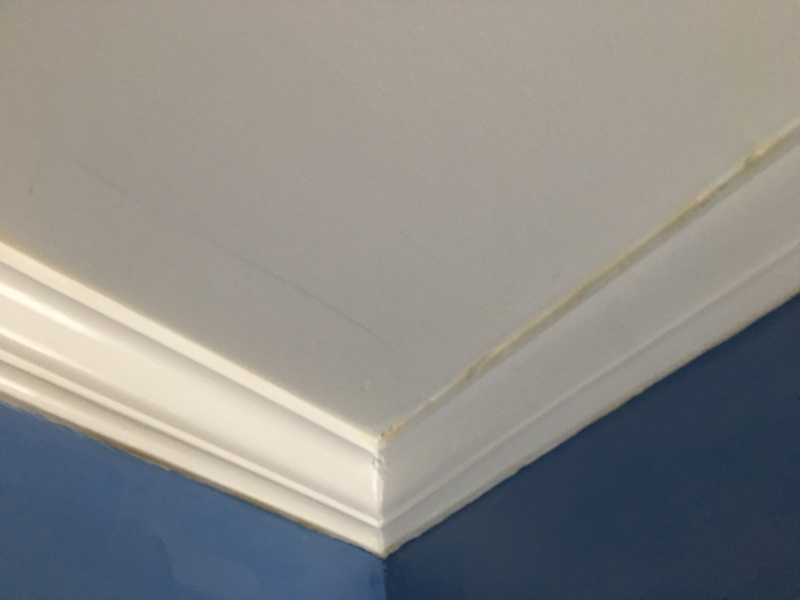 How can I get a smoother finish when painting trim? What advice would you offer somebody who is building a laundry chute for the first time? Where should I place nails when installing crown molding? Ceiling cracks appear and worsen over weeks. Self repair or professional?